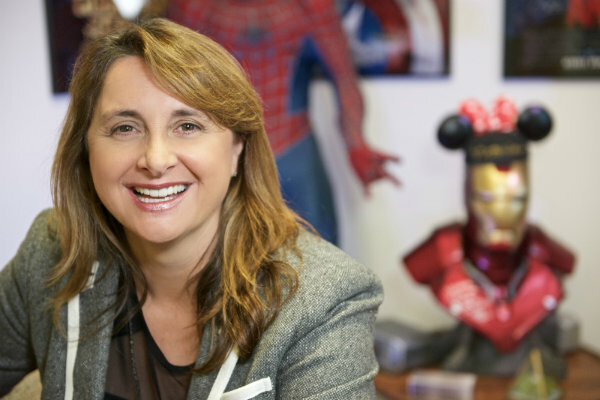 The Hollywood Professional Association (HPA) has announced that Victoria Alonso, respected producer and EVP, production for Marvel Studios, will receive the organization’s 2018 Charles S. Swartz Award at the HPA Awards on November 15. The HPA Awards recognize creative artistry, innovation and engineering excellence in the professional media content industry and the Charles S. Swartz Award honors the recipient’s significant impact across diverse aspects of the industry. The HPA Awards will be bestowed at the Skirball Cultural Center in Los Angeles. A native of Buenos Aires, Alonso moved to the US on her own at the age of 19. She worked her way up through the industry, beginning as a PA and then working four years at the VFX powerhouse Digital Domain. She served as VFX producer on a number of films, including Ridley Scott’s Kingdom of Heaven, Tim Burton’s Big Fish, Andrew Adamson’s Shrek and Marvel’s Iron Man. She won the Visual Effects Society (VES) Award for outstanding supporting visual effects/motion picture for Kingdom of Heaven, with two additional shared nominations (best single visual effects, outstanding visual effects/effects driven motion picture) for Iron Man. Eventually, she joined Marvel as the company’s EVP of visual effects and postproduction, doubling as co-producer on Iron Man, a role she reprised on Iron Man 2, Thor and Captain America: The First Avenger. In 2011, she advanced to executive producer on the blockbuster hit The Avengers and has since executive produced Marvel’s Iron Man 3, Captain America: The Winter Soldier and Captain America: Civil War, Thor: The Dark World, Avengers: Age of Ultron, Ant-Man, Guardians of the Galaxy, Doctor Strange, Guardians of the Galaxy Vol. 2, Spider-Man: Homecoming, Thor: Ragnarok, Black Panther, Avengers: Infinity War, and most recently, Ant-Man and the Wasp. In her current role she serves as EVP, Production, for Marvel Studios as well as serving as producer on a number of important films. Alonso has become an important voice in Hollywood as a producer, as a Latina and as a female senior executive. She was the 2015 honoree for the Muse Award for Outstanding Vision and Achievement from the New York Women in Film & Television. She was also the first woman to be presented with the Harold Lloyd Award from the Advanced Imaging Society, which is given to a filmmaker who has created a body of work, and specific achievements in 3D, that advanced the motion picture art form. In 2017, she was the first woman to be honored with the Visionary Award at the 15th Annual VES Awards for her advancement of unforgettable storytelling through visual effects. She is currently at work on the untitled fourth installment of Avengers and Captain Marvel. The Charles S. Swartz Award is a prized honor with special meaning for the HPA, named in honor of an innovative, inspiring and compassionate executive. Charles Swartz had a far ranging creative and technical career, eventually leading the Entertainment Technology Center at the University of Southern California (ETC@USC), a prominent industry think tank and research center. The Charles S. Swartz Award is awarded at the discretion of the HPA Awards Committee and the HPA Board of Directors, and is not given annually.